Escondido needs a quality hotel, city and business officials say. It’s motels only for Escondido for now. Escondido political and civic leaders this week continued to try to find a way to get someone to build a hotel next to the California Center of the Arts. Just that this latest version of the quest for a Holy Grail of a hotel has been downsized from 4-star luxury to 3-star business class. Clay Phillips, Escondido’s city manager, last month acknowledged that a two-step process designed to entice, and work with, hotel developers for a downtown hotel hadn’t reached anything close to an exclusive negotiating partner. However, city officials indicated the new process is in place and ready to roll. First step is a site opportunity statement of understanding provided to Escondido Economic Development and Community Relations officials. Prospective developers were expected to submit information about their experience and company. Step two consisted of oral presentations a’la’ TV’s “Shark Tank”. Short-listed groups would be asked to draw up detailed plans including concept and financing. After that, city officials would select one developer to enter into an exclusive development deal addressing designs, construction and operations of the hotel. 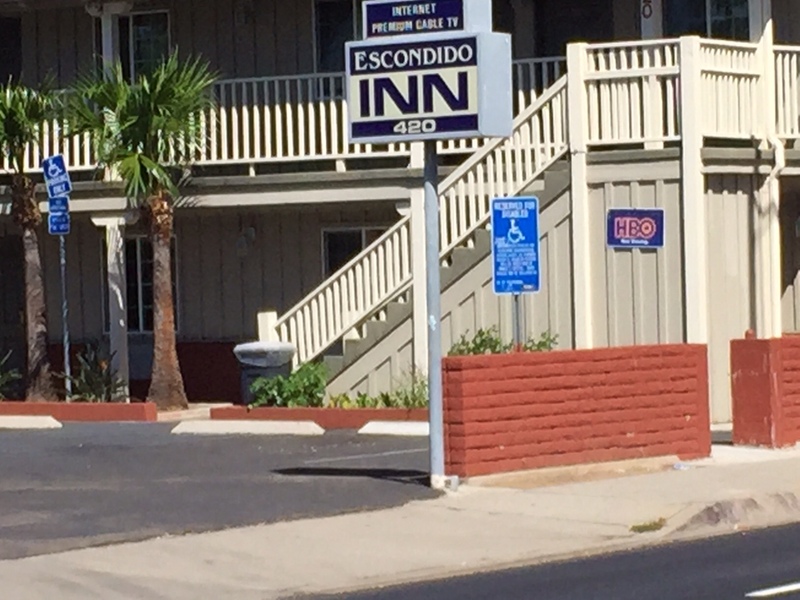 Befitting its historical route as a gateway city to San Diego from destinations north, Escondido long has featured cheaper motels scattered around downtown and freeways. While some are nice enough, a core of others immediately around the downtown area have featured seedier efforts diminishing interest in visiting and shopping around the city. Escondido officials in their never-ending quest to make the city a destination rather than a place to pass through, have tried for decades to bring in upscale enterprises and a hotel to the city. While the California Center for the Arts has featured internal economic turmoil, it also has proved an artistic, cultural and even economic generator to a degree. But that’s about all she wrote so far for ambitious plans to upgrade the city experience and economy. Officials long have believed an upscale, 4-star hotel next to the Center would generate revenue and buzz, attracting visitors who now have to go to places like Rancho Bernardo and beyond for top-quality lodging. A hotel also may generate additional high quality development to the area. Not so close and no cigar so far as a grandiose $56 million, 196-room Marriott hotel project couldn’t pass go, going bye-bye in 2007 after being approved by the Escondido City Council in 2006. While Escondido officials said this year that the new Center hotel project more realistically would take the shape of a top-rate business traveler facility, other hotel projects either have stalled or are proceeding at a snail’s pace. 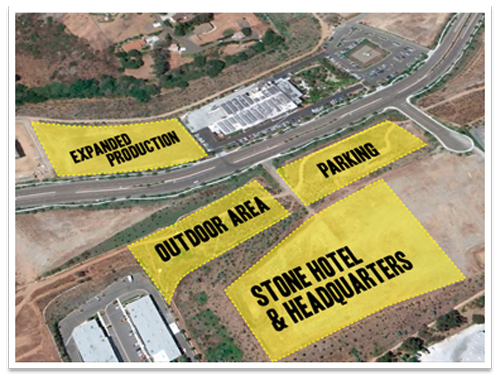 Stone Brewing proposed, then quickly dropped, plans for a new Escondido hotel. Stone Brewing Company’s 2013 proposal of a $24 50-room million hotel to open the next year across from its Stone Brewing World Bistro & Gardens fell by the wayside. A 7-acre two hotel project near Interstate 15 at the southeast corner of Felicita Road and West Citracado Parkway also isn’t near any fruition.